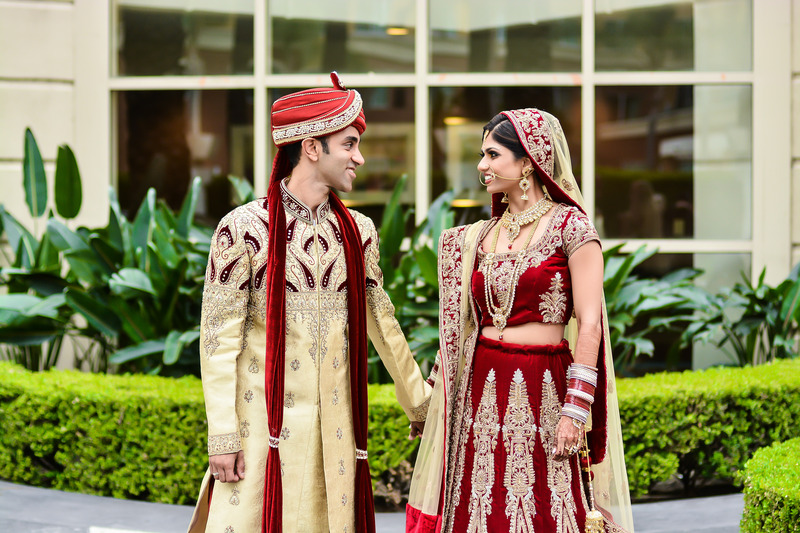 DOSMs: Have You Invested Time To Deep Dive Into the Customer Experience for Indian Weddings? If No, Here’s Why You Should. This article is about how venues can close more Indian weddings, differentiate, and improve their sales cycle by understanding the customer’s experience of booking a venue for an Indian wedding. Indian weddings are family affairs. Mom, dad, siblings, plus the couple are involved in the decisions. That’s why you’ll often see multiple people attend site visits or Catering Managers who receive calls from multiple family members. So what’s the take away for venues? Interacting with multiple family members is normal and it’s ok. If you’re worried about info getting lost in translation cc everyone on follow up emails. In our culture, one’s wedding is the biggest celebration of their life and the wedding is a status symbol for the hosts. Everyone wants their guests to remember (and talk about) having a great time, great food and in-general be impressed. Additionally, Indian culture is ancient and inherently religious, so there are lots of traditions and customs to practice and follow. Where they have the wedding sets the tone for the entire event. And it anchors everything else for the wedding. Most Indian weddings book 10-12 months in advance. That means there’s a learning curve throughout that 10-12 month period. They start off as complete novices, having never planned an Indian wedding before. They don’t know what they don’t know. It’s overwhelming and there’s a lot at stake, so it can be stressful. Additionally, as discussed above, there are usually several “cooks in the kitchen”, with two families being very involved in all of the wedding decisions. So what’s the take away for Marketing and Sales Execs? The venue is the first thing they book. They’re at the beginning of that 10-12 month cycle. So that means they might be overwhelmed because they’ve never planned a wedding before. They’re gathering info and learning. And they’re looking for guidance and expertise. So…Catering Executives that guide, share expertise and ask questions will do so much better. So many couples that we talk to share that the rapport with the Catering Manager is a strong determinant of likeliness to book with a venue. Another thing to know about Indian weddings is that many couples and their families want to stand out, be different and unique with their wedding. There are many ways to be different: decor, food, entertainment. Venues can help clients achieve this goal by offering unique services and amenities such as a lighting package, unique (non-chiavari) chairs, grilled cheese midnight snack service. I am not saying to offer these items free of charge, but you could incentivize couples during the negotiations. For Indian weddings, couples and their families consider anywhere from 15-40 venues. That means you have to stand out. And below we’ve provided some actionable tactics on how you can do that. Most venues’ outside catering package is a PDF. What’s the file name of your outside catering package? Probably something like “Outside Catering 2018-2019”. This is common practice. How about renaming yours to include your venue’s name? Take a look at the file names in the image below. What do you notice? All of the file names are pretty similar but they’re from 6 different venues. And not a single one has the venue’s name in it. So, how does your client know which packet is yours? The folder in the image below only has 6 outside catering packages. Most couples gather anywhere from 15-40 packages from venues. Imagine if there were 40 packages in this list, that all look the same. How do you know your venue simply won’t be forgotten or overlooked? How are you standing out? How are you making sure you stand out amongst a homogenous crowd? The venue that includes their name in their catering package file name signals thoughtfulness. It signals that they have thought through and taken the time to understand their customers’ experience – what customers are going through. It signals the huge difference between an external focus vs. an internal one. And we see examples of great products all around us. Is your outside catering package mobile-friendly? Increasingly consumers in the US use their mobile phone more often and for more tasks. the one that she has to wait to read until she gets home on her laptop? Speaking of PDFs how about turning your outside catering package into a mobile-friendly microsite? No more PDFs; just a link to the package. We could even link it to your profile on ShaadiShop, which is great for your SEO! What can we learn, and more importantly incorporate from massively successful companies? Amazon. If you’ve ever contacted their customer service you probably had a pretty great experience. Moreover look at their website. Every line of text, every button and image is strategically placed for optimal readability, easy access, and the customer’s buying flow. the product info is on the left, because our eye naturally falls on the left first. The customer flow is to gather info on the left and then buy on the right. How is your outside catering packet designed to optimize readability? ShaadiShop. On our own website, we capture leads right in the moment, while consumers are actively searching for venues, as you can see from the photo below. Secondly, we ask consumers for two preferred wedding dates and the number of guests, which is info that we send to our venue-partners. So not only is it a great experience for people using the site but it’s useful and a great experience for Catering Managers as well. answers to the most common questions about food, fire, the baraat etc. And anyone can click on any of these ‘cards’ to learn a ton more about each venue and request quotes. So how does this relate to your customers and your outside catering package? Two days ago a mother-of-the-bride called us to ask deeper questions about venues, after our team sent her a few outside catering packages for venues she was interested in. We’d sent her 4 packages and she only asked questions about 3 of them. When we asked her why, she said, “X venue’s package was difficult to understand so I didn’t read it”. That’s $40,000 gone instantly. Below you’ll find a list of items that consumers would like to see in outside catering packages. You know what ++ means, but do your customers? Do they know how to calculate it? So many venue catering packages say ++ but don’t include the numbers to back it up. That’s frustrating for consumers because they don’t distinguish between base price, service charge and tax. They want to know what the bottom line is going to be. A lot of venues don’t include the fee for lunch. There are a few ways to handle this. At least mention lunch as an option and ask them to contact you for a quote. But don’t not mention lunch. Pretty much every couple for an Indian wedding debates about whether or not to serve lunch after the wedding ceremony. And having that info in the package is helpful. Most Indian weddings want a hospitality room, yet very few outside catering packages mention this in the package. Is it available as an option? What are the policies? Is outside catering in the hospitality room an option? Having some mention of this signals to customers that you understand them and their needs. I’ve seen one venue out of the hundreds and hundreds that I interact with include a prayer room for the morning of the wedding. Again it signals the difference between a venue that can host an Indian wedding vs. a venue that does host Indian weddings. How many venues have had clients or consultants proofread the outside catering package and seek feedback on it before they start sending it to clients? How easy is to read? Understand? Thorough? Correct terminology? If the outside catering package represents your property on paper, then how about a summary somewhere inside of it, that lists the benefits of your property i.e. Are you spelling out the benefits of your property to your customers in your outside catering package? This article was about understanding consumers for Indian weddings and what it’s like for them. The more Marketing and Sales Execs understand about their customers the better they can do to customize their sales pitches and services to book more Indian weddings. They’re working full time or in grad school (or both) and talking to several venues. Venues that understand and build their product and processes around how they book their wedding venue will win.